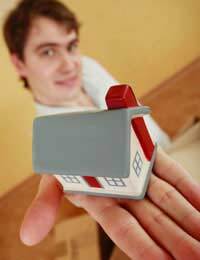 The Government are aware of the affordable housing crisis in the UK and is doing what it can to solve the problem - although critics argue this is not enough.One solution the Government has created is the HomeBuy system which enables people to buy a share in their home if they can't afford to buy it outright. What is the HomeBuy Scheme? The HomeBuy system comprises of three products - New Build HomeBuy, Open Market HomeBuy and Social HomeBuy. The HomeBuy schemes were introduced as a means to help renters to own at least a share of their property. However critics have said the Government should be doing more to help buy their whole properties and not just part of them. What is the New Build Scheme? The New build scheme applies, as the name suggests, to newly-built properties. It gives the potential homebuyer the chance to own a 23% share of the property. The provider i.e. the company that built and owns the property will retain the rest of the share. The home buyer can buy a bigger share of the house as and when they are able to, although the provider can add a charge of up to 3% of the value of the property onto the price. Who has Criticised the Schemes? By buying a share of the property potential buyers can at least own a share of the equity and the aim is to increase that share when they can. The scheme has been a success but there are calls for more to be done. Some critics have slammed the scheme claiming the Government should be doing more to make housing affordable instead. The charity Shelter also criticised the schemes and the Government for ignoring the real problem. Back in 2005 it slammed the New Build scheme and said the Government was ignoring the lack of social housing. According to the Government you are eligible to apply for the scheme if you are a housing association tenant, a council tenant, a key worker (i.e. if you work in the public sector, a priority first-time buyers or if you are on the waiting list for a council or housing association house. A priority first-time buyer can include people who are helping the community. How do I Apply for New Build HomeBuy? Each area of the UK has an appointed HomeBuy agent. These agents look after the scheme in that area and have all the necessary information needed. If you are interested in applying for the New Build HomeBuy scheme and you meet the criteria you can apply through your local agent. To locate your agent visit the Government site www.gov.uk where you'll find full listings. The New Build HomeBuy scheme may have its critics but it cannot be disputed that, in the current market, it allows people who would ordinarily not be able to afford to become a homeowner to have some equity. If house prices come down there is a chance the scheme will become redundant but at present it obviously serves a much sought after purpose.